Pharaohs, militaries and superheroes. Who is ruling Egypt? Egypt, land of Pharaohs. It is the first thing we say when we think of this special country. The Pharaohs of ancient Egypt were God-kings on Earth. They have had the power of life and death. Today they are reason for national pride in Egypt. But there are “good Pharaohs” and “bad Pharaohs” in the history of Egypt. After the Arab conquest and the islamization of the region the image of the Pharaohs stopped being flattering. Indeed, the Pharaoh was first mentioned in the Bible and in the Qur’an, with a negative connotation. The Holy Quran, namely Surah Al-Qasas, tells the story of the Prophet Moses and the Pharaoh, as it is also mentioned in the Old Testament. The Pharaoh is the embodiment of evil, an infidel, the one who has disregarded the Words of God (Allah). “In the Qur’an, Pharaoh is the villain of a story in which Moses and the children of Israel are the heroes, and in several passages Pharaos appears as the ultimate example of the irreligious and oppressive ruler whom it is the beliver’s duty to disobey and if possible to overthrow”, says the American professor Bernard Lewis. Once Islam has declared that there is only one true God, the Pharaoh could no longer be man and God: “Pharaoh has become too arrogant on Earth”, says the Quran. So far we have two images of the Pharaohs: great ancient king of Egypt and the villain in the holy books of two religions. But there are modern Pharaohs too, good and bad. Arab Spring has been a wave of revolutions starting in the late 2010 and resulting in major crises in the MENA region. 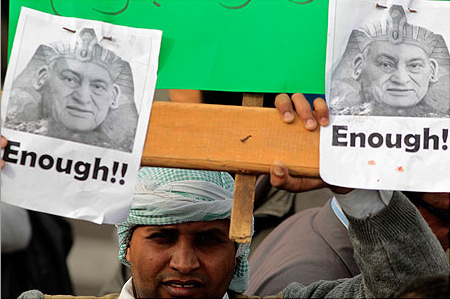 After the outbreak of revolution in Egypt, in January 2011, people demanded Mubarak’s resignation. Revolutionaries used a special formula: “Pharaoh must leave!”. Mubarak, who led Egypt for decades, was seen as the bad Pharaoh. And, as in the time of the pharaohs, immediately after the Arab Spring, Mubarak’s name has been removed from all public places. After the first, post-revolution, general elections (November 28th, 2011 to February 22, 2012), the Freedom and Justice Party had conquered the Egyptian political scene. The new parliament was dominated by the Islamist Alliance, but it was dissolved in the summer of 2012, after elections were declared unconstitutional (considered discriminatory against independent candidates). Even so, the presidency was won in the elections of May-June 2012 by a member of Freedom and Justice Party, Mohamed Morsi, with 51.73 percent of the votes. The new Islamist vision on how the State should be ruled was not to the liking of the Egyptians, who went in the streets again to ask President Morsi to leave. As a result, after the Second Revolution of 2013 or the coup, Mohamed Morsi has been labeled as a Pharaoh and removed from power while the army took control. Mohamed Morsi, the first elected president of Egypt after Arab Spring, issued a declaration where he spoke of his temporary special powers: pending the adoption of a new constitution, his decisions could not be legally challenged. Why the contemporary pharaohs are despicable, and the ancient ones venerated? In the contemporary epoch, even after the great archaeological discoveries in Egypt, the Islamic fundamentalists have maintained the “infidel connotation” to refer to the pharaohs. President Anwar Sadat was part of the Free Officers group, along with Gamal Abdel Nasser, and ruled Egypt from 1970 until his assassination in 1981. As many observed, Sadat was assassinated for his political opening toward the United States and Israel, being the first Arab who spoke, in 1977, in the Israeli parliament. The Camp David Agreements (1978) and Washington agreements (1979) consacrated the peace between Egypt and Israel, but also meant the suspension of Egypt from both the Arab League and Islamic Conference. Sadat became in this way the target of radical Islamic groups. But Bernard Lewis believes that the murder had a religious motivation: “there is a widespread assumption that Sadat was murdered because he made peace with Israel; this is not correct […]. The real accusation against Sadat was that under the guise of Islam and with a pretense of being Muslim, he was de-Islamizing the Egyptian state”. For the fundamentalists it is worse to be a Muslim who deviates from his way, from Islam, than a foreign infidel. “They are apostates, and the penalty for apostasy is death. The Shah of Iran (a secularist) and President Sadat of Egypt were seen as such apostates”, says Lewis. Egypt’s fate seems tied to the military power. Since the times of Mamluk dynasties, namely the thirteenth century, militaries were challenging the authorities of the state. The Mamluk aristocracy, former slaves, acquired political power: “The example of Mamluk dynasties […] illustrates how different caliphal groups could accede to power. The temptation is the same nowadays, if militaries reach their full powers right under the nose of political and religious powers”, says Malek Chebel. In Egypt we have a particular situation before and after the Arab Spring. From the removal of the last king, Farouk (1952) and until today Egypt has been led by people who were part of the army, with one exception: Mohamed Morsi. We are not talking about military dictatorships, but about the fact that all the presidents were military who left the army to become “civilians”. Is also the case of the current president, El-Sisi. After the Arab Spring, the army has replaced all institutions: government, parliament, etc. Fisichella explains the presence of the military in politics: when a country’s political regime lacks legitimacy or faces shortcomings in this respect, the military assumes responsibility of governance. Continuous street protests, the will of Muslim Brotherhood to establish an Islamist authoritarianism, clashes between Muslims and Copts, all that led the military to engage in politics. The army is organized, disciplined, is the strongest structure of society and acts according to national interests, mentioned Fisichella. Additionally, the army has always had a role in the economy. In 2016 the army is still the most important force labor: the army makes roads, buildings, expands the Suez Channel. Egyptian President, Sisi, said that under his mandate were built 6000 kilometers of roads, 113 bridges and three airports with the help of the army. Holger Albrecht claimed before 2013, the year of the Second Revolution or the coup, that the Egyptian army would not abandon its political agenda – the army had a political agenda since Nasser’s times: “the military is likely, however, to prevent the mergence of a competitive, pluralist political order that would legitimize social division. In short, military will reinvent populism to avoid democracy”. The Army’s role is more important under the new Constitution of 2014. Neither the Parliament nor the Government have right of control over the military budget. Military maintains autonomous powers, including the power to try civilians in military courts. In late February 2014, Abdel Fattah El-Sisi, the Defense Minister, was promoted to field marshal and received permission from the military to run for presidency, a position he still holds in 2016. El-Sisi has an image of a special man. He has striven to be perceived as the savior of Egypt, at the national and international levels. His projects have always been great, so that even the Egyptian journalists have spoken on Sisi’s obsession for mega-projects. One of the projects is the expansion of the capital, which would cost more than $ 30 billion, with an area of over 700 square kilometers; Sisi has inaugurated the new Suez Channel, a project of 8 billion dollars, realized under his supervision in just one year instead of three. In the election campaign of 2014 the portrait of Sisi was printed on the packaging of chocolate, cheese, perfumes, lingerie, sandwiches, posters on cars, buildings. In Egypt, the phenomenon was called Sisi-mania. 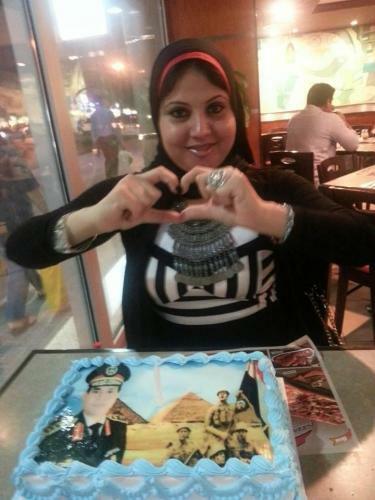 Much of Sisi electorate is made up of women who have found in him a defender. In Egypt, women suffer from sexual harassment and domestic violence, and Sisi has imposed greater punishment for those guilty of this crime. Sisi is the father figure: “All the women in Egypt would be my daughters”, he says. Egypt has not had a functioning Parliament since 2012 until the beginning of 2016, by which time all power was effectively in the hands of the army, then in the hands of President Sisi. Today, Sisi sanguinely looks toward US. The new elected president, Trump, told Sisi he looked forward to visiting Egypt and called the Egyptian president “a fantastic guy.” They are “friends” for many reasons (they have similar attitudes regarding situation in Syria, Iran) but especially because they do not like Hillary Clinton — who, they believe, supported the Muslim Brotherhood’s rise to power (now Muslim Brotherhood is declared a terrorist illegal group and Morsi is in jail). For the researchers, 2011 was a milestone in the history of Egypt. It was the year when many dictators in Middle East and North Africa were ousted after the wave of revolutions that were meant as an opportunity for Egypt and other countries to move on from a nondemocratic regime to a democracy. Hosni Mubarak, removed from power in 2011, led Egypt for decades, but transformed the government and the rulling party, National Democratic Party, into a family business. As in the days of the pharaohs, while he lived in luxury, Egyptians were living below the poverty threshold. The pharaoh Mubarak was preparing his son, Gamal, to become the next ruler of the country. In order to begin the transition to democracy after 2011, beyond other conditions such as guaranteeing freedom of expression, a Constitution that aim at least to build a democracy, free and fair elections, civilian control over the military, etc., Egypt would need an elite who understands the democratic game and admits its consequences. We mean an elite that accepts the fact the democracy does not exclude the assertion of Islamist parties and an islamist leader, such as Mohamed Morsi. But Morsi, democratically elected, had no democratic intentions. His message, the Muslim Brotherhood’s message, “Islam is the solution” to any problem of society, and the measures taken during his presidency, made from Morsi just another bad pharaoh. Authoritarianism was revived on islamist bases. Under the pretext of protecting the population from the terrorist threat, the Egyptian army, the only institution credible in the eyes of the population, has assumed full control of the country. To justify his intervention in the summer of 2013, when Morsi was removed from power, but also in order to win the elections, Sisi had to present himself as the savior of the country. In addition, although he adopted a series of profoundly nondemocratic measures – such as the famous law of terrorism, for example, which reduces media to silence, declaring Muslim Brotherhood as a terrorist organization, suppression of political activists – and led the country through presidential decrees, Sisi has the image of a superhero. 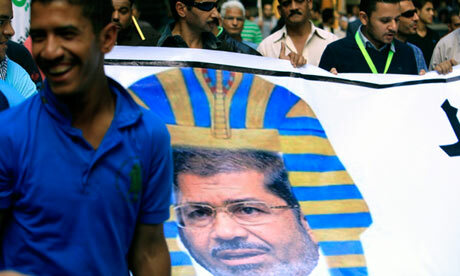 Egypt remains a country ruled by militaries, good and bad pharaohs, superheroes, but no democratic presidents. “Demanding order, Sisi turns to military to rebuild Egypt”, The Associated Press, Cairo, Al Jazeera, 8 July 2016. “Egypt. Majlis Al-Chaab (People’s Assembly) Elections In 2011”, Inter-Parliamentary Union. Abdallah Hendawy (2016), “In search of a legacy, Egypt’s leader buys arms”, Mada Masr, 2 March 2016. Abdel Monem Said (2016), “Egitto: dallo Stato alla rivoluzione e di nuovo allo Stato?”, Al-Arabiya, 23 August 2016, Emanuele Uboldi’s translation for ArabPress. Ahmed Tharwat (2016), “Sissi is fast becoming the ‘face’ of Egypt”, Star Tribune, 17 November 2013. Alex MacDonald (2014), “Sisi-mania, the fad that’s sweeping Egypt”, Middle East Eye, 12 May 2014. Anouar Abdel Malek (1967), Esercito e società in Egitto 1952-1967, Giulio Einaudi Editore Torino. Arthur Weigall (1996), Istoria Egiptului antic, Editura Artemis, Bucureşti. Bernard Lewis (2010), Faith and Power-Religion and Politics in the Middle East, Oxford University Press, New York. Bernard Lewis (2002), Islam in History- Ideas, People and Events in the Middle East, New Edition, Revised and Explained, Open Court Publishing Company, Illinois. Domenico Fisichella (2007), Ştiinţa politică – Probleme, concepte, teorii, Editura Polirom, Iaşi, Bucureşti. Francesco Anghelone, Andrea Ungari (Ed.) (2014), Atlante Geopolitico del Mediterraneo 2014, Datanews Editrice, Roma. Holger Albrecht (2012), “Authoritarian Transformation or Transition from Authoritarianism?”, Bahgat Korany, Rabab El-Mahdi (ed. ), Arab Spring in Egypt – Revolution and Beyond, The American University in Cairo Press, Cairo, New York. Judie Fein (2011), “Mubarak: Modern-Day Pharaoh of Egypt”, Huffington Post, 2 March 2011. Kristen McTighe (2014), “‘I love him like my own dad’: El Sisi wins the hearts of Egyptian women”, The National, 25 May 2014. Malek Chebel (2009), Sclavia pe pamântul islamic- Un tabu bine păzit, Editura Artemis, Bucureşti. Peter A. Clayton (2007), Cronica Faraonilor – Consemnarea, domnie de domnie, a suveranilor şi a domnilor din Egiptul antic, Enciclopedia RAO, MKT PRINT, Slovenia. Shahira Amin (2016), “Why Egypt’s Sisi welcomes Trump win”, Al Monitor, The Pulse of Middle East, 10 November 2016. Traducerea Sensurilor Coranului cel Sfânt în limba română (2010), Liga Islamică şi Culturală din România, Ediţia a V-a, Editura Islam, Bucureşti.